What: Camp Wiley for Wolfs, Bears, Webelos. Tigers will be Wolfs by then. When: Per our Council here is the current schedule, our pack wants to go together on two days, either July 1-4 or ?? ?I don't the other just yet. Documents: Annual Health and Medical Record, must be filled out for parents and Scouts and signed by your doctor. Hint: I go to the Chiropractor on Limonite and it's only $25 bucks. 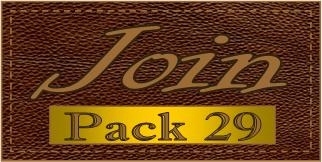 A $50 Deposit per Scout, paid to the Pack is needed by February 17th, 2010 to hold your spot. Camp Helendade's address is 2001 Wilderness Road, Running Springs, CA 92382. Take Highway 173 South from Hesperia to Lake Arrowhead. Turn east on Highway 18, and drive to Running Springs. Look for Wilderness Road on your left. Follow Wilderness Road approximately 1 mile and Camp Helendade will be on your right side. Take Highway 330 North to Running Springs and follow the road to Lake Arrowhead (State Highway 18 West). While on the 18, watch for Wilderness Road and the Camp Helendade sign, turn right, and follow the road until you arrive at camp. For the first 48 Second Year Webelos per week interested in living the life of a Native American, Sleeping in a Teepee. Camp Helendade was a gift of Helen and Dade Davis in 1960 as a replacement for Camp Arataba. Arataba's main lodge burnt down earlier that year. Despite the catastrophic damage to the camp's most important building, the rest of camp went largely unscathed, with the First Aid Cabin, Pool, and other structures left intact. However, the land was a leasehold on Forest Service Land, and the donation of land in Running Springs represented a very important opportunity for the Arrowhead Area Council. When the they read of the tragedy, Helen and Dade decided to Scouting a wedding present that Dade had given Helen; a tract of land near Running Springs. The property, soon to become a Scout camp, originally consisted of over 400 acres. Dade Davis organized construction of the new buildings at the camp. These were the main lodge, warehouse, commissary (now the rear of the new dining hall) and the Ranger's house. To accomodate the Scout campers, 10 campsites were created. In the beginning, Camp Helendade was simply named "Camp Running Springs." However, Scout Executive Edward Saxton believed that the Davis family should be honored for their generosity and he proposed to name the camp after them. "Helendade" had a nice sound to it as well as contained their names. The current rifle range was built by Edison employees and Scouters under the guidance of the NRA Range Certification Team. The only items that made it to the new camp from Camp Arataba was the camp Jeep and a trailer with 6 canoes that happened to be attached to the Jeep when the evacuation order was given! Camp Helendade now spans about 90 acres, all of which is regularly used by the Council's many Cub Scouts. Situated at just over 6,000 feet, Helendade is a year-round camp used for summer programs, winter klondikes, all Cubbing activities, as well as Boy Scout activities. The camp currently has five cabins, a main lodge, Medics/Utility lodge, dining hall, program buildings, and an Olympic size heated pool. Other facilities include an archery and rifle range, a lake with fish, tents with platforms, and three major shower / restroom facilities. Camp Helendade is a fully accredited ACA and BSA camp staffed with a full-time ranger. Camp Helendade is a great place for your Cub Scouts' first of many enjoyable camping experiences. Thousands of Cub Scouts from all over Southern California visit Helendade and its' well know summer programs, Camp Wiley, Target on Transition, and Tribe of Wisumahi. Camp Arataba is still being used by its lease-holders since 1961, the Unitarian Church (History).